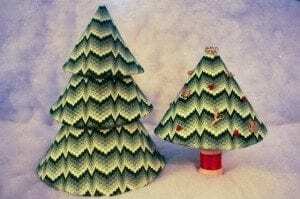 This has got to be the best introduction to bargello, especially at the holidays! 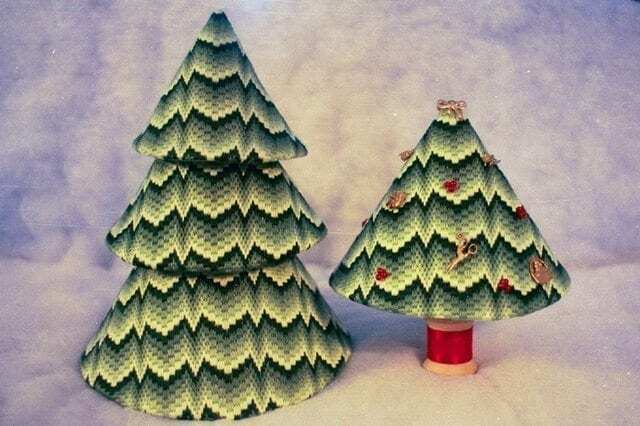 Make either tree or both – the one on the right is really just one of the cones decorated with charms and sitting on a spool of thread. Using five shades of thread you’ll get a wonderful result even if you’re new to bargello and it’s fast too. Finishing instructions included! We’d be thrilled to kit this chart up for you! Requires 18 ct. canvas 18 x 12 and 5 colors floss, 8-10 skeins each color for large tree.